It’s official! My eighth novel has just been released. 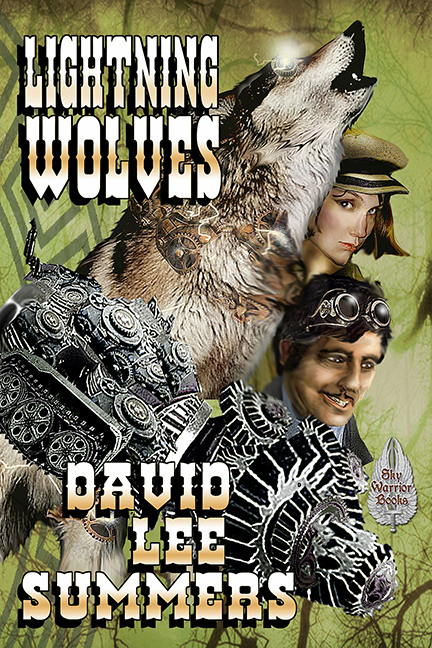 Lightning Wolves is the sequel to my wild west steampunk novel Owl Dance. This particular novel was inspired by my love of Tombstone, Arizona and its surrounding areas. Although this novel is set around Tombstone, you won’t find Wyatt Earp or his brothers. This is a few years before the Earps arrived, when prospectors were exploring for silver and rustlers went south of the border to steal Mexican cattle. In my world, the Russians have invaded America and occupy the west coast, changing history as we know it. What if a mad inventor built a mining machine that could also be used as a powerful weapon? How would you defeat it? That’s the story I tell in Lightning Wolves. If you visit the Lightning Wolves page at davidleesummers.com you will find a sample chapter and links where you can order the book. What’s more, because this is July and my publisher, Sky Warrior Books is awesome, you can get the book for half off at Smashwords by using the code SSW50 when you check out. You say you haven’t read the first book in the series? Well Owl Dance is also 50% off at Smashwords this month. Just remember to use that SSW50 code when you check out!